Your time is valuable. Take some of it back with a safe and convenient way to manage and pay your bills each month just like a traditional checking account. Skip the checks and money orders. Pay almost any business or individual that you currently pay by check with Online Bill Pay. There are no fees and no limits.16 To start, simply log in to your online account and select Pay Bills from the Send Money menu. It’s your money. Move it when and where you need it. Transfer cash between your RushCards for free.16 Or, send money to a friend’s RushCard for just $0.99 per transfer. Download the RushCard Mobile App 18 and select “Make A Transfer” from the menu. Remember, you can also add money via Direct Deposit, ACH, cash deposit, check,13 and PayPal. Set yourself up for success. RushGoals was designed to help you make moves toward a better financial future at your own pace. 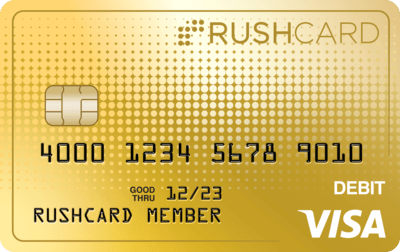 Just log into your account and select RushGoals from the "RushCard Rewards" menu. Learn more about RushGoals. You have the tools for total control of your money, but every once in a while you may need us and we’re here for you. RushCard’s knowledgeable and friendly Support Team is available 24/7 to help you with whatever you’re dealing with.